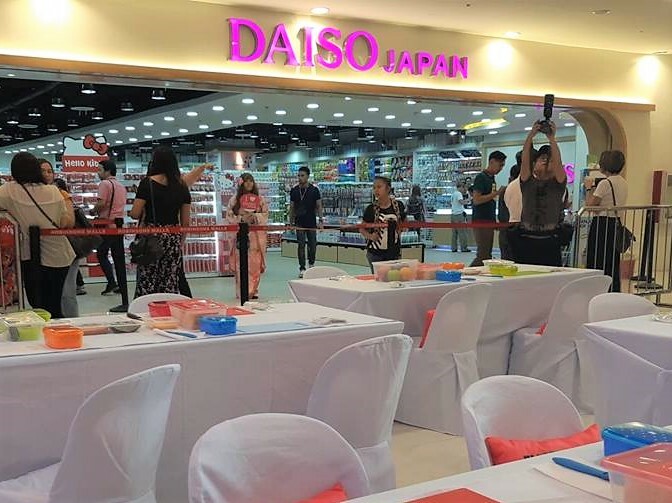 Daiso Japan has unveiled their newest flagship store where cherry blossom or pink lovers will surely be fond of. 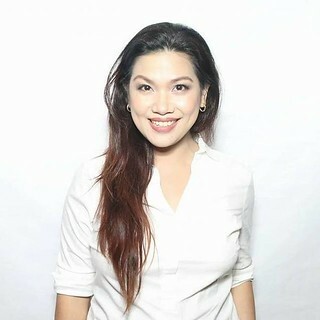 It's located at the third floor of Robinsons Galleria in Quezon City. I was there with my son to witness its launch and the vibes of the pink store uplifted my shopping spirits! You will find this newest Daiso Japan's interiors inviting with its pink-splashed designs and racks filled with all things kawii. 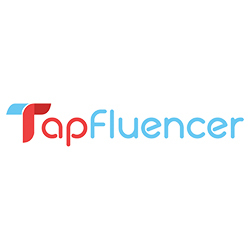 They took inspiration from the lovely flower, the Sakura or popularly known as cherry blossom. I haven't been to Japan (praying soon!) so I don't exactly know how it feels to see it for real, but Daiso Japan is bringing all Japan feels to us practical shoppers with its newest flagship store. 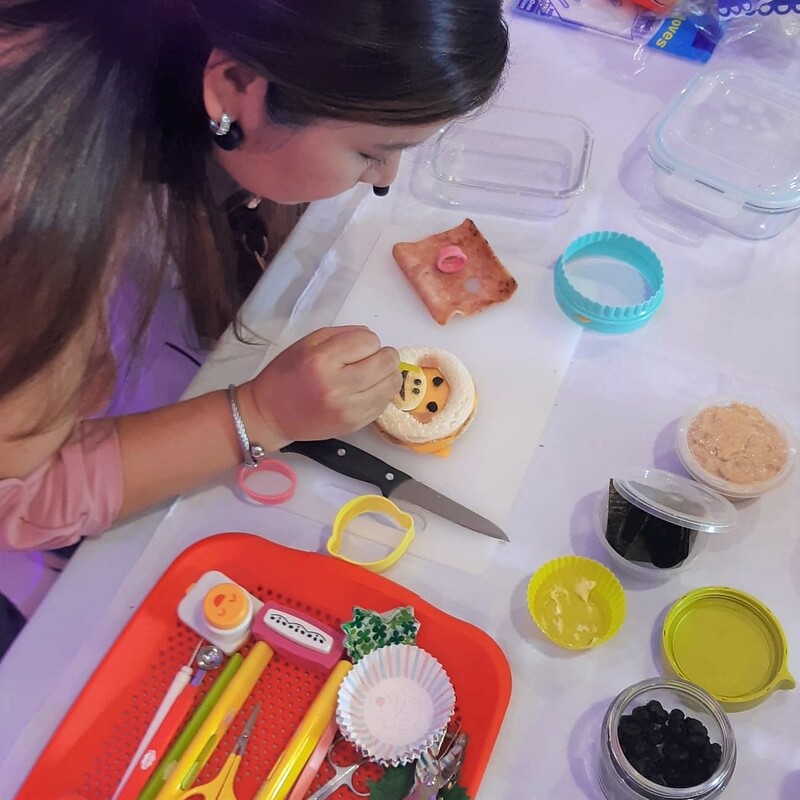 Before I went shopping, we were treated to a fun and simple bento-making workshop facilitated by my friend Lourdes Vindollo-Labii of Nanay's Lunches with Love. I was so happy to be one of her excited audiences. 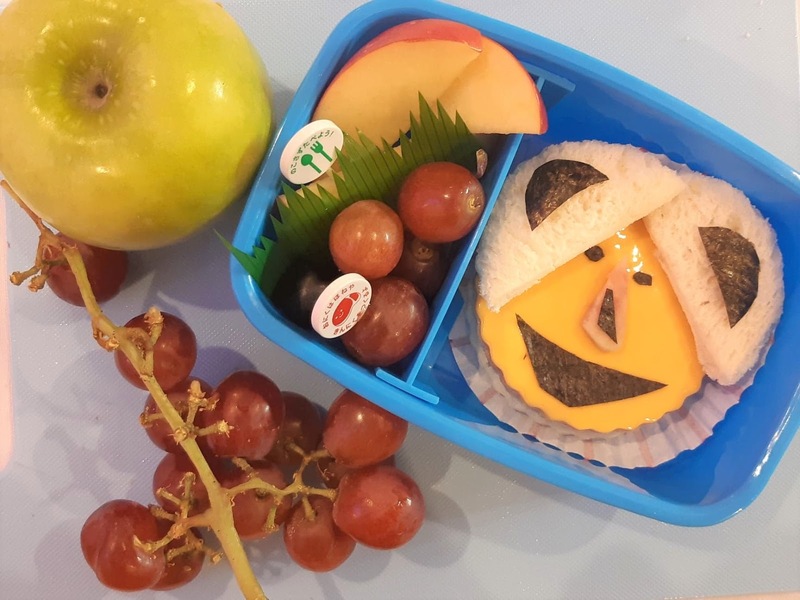 I have been following her bento creations online and my son's #WesBaonToday is inspired by it, but I haven't really done a real bento. Thanks to this event, I was able to for the very first time. I am happy with the result of my creation, though it didn't win as one of the best-looking bento, it won the heart of my son that afternoon. 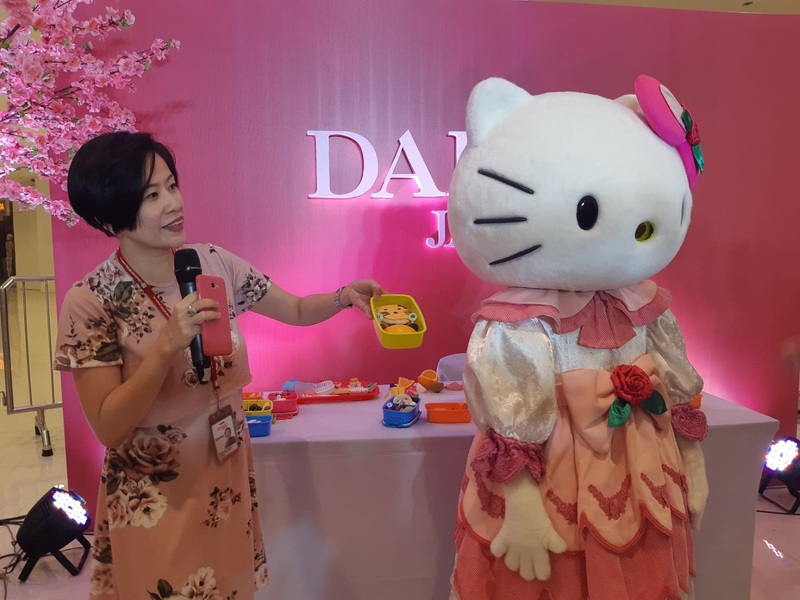 As if that wasn't enough, Daiso Japan had a very special guest - the real HELLO KITTY! 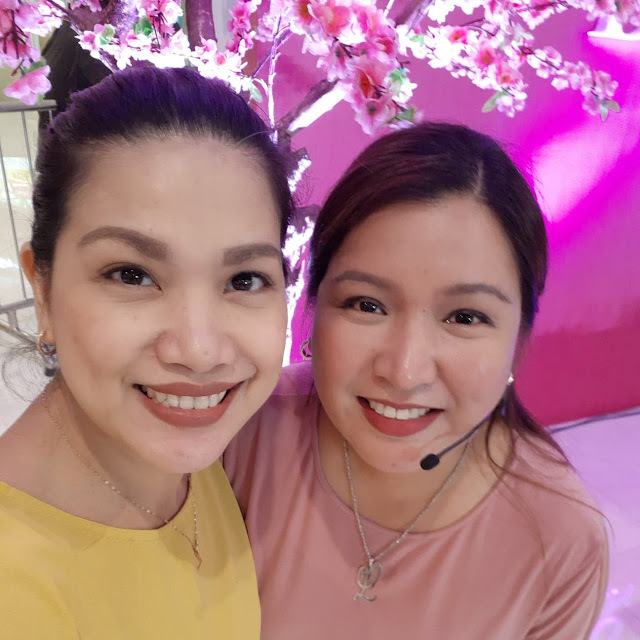 I was so thrilled seeing her because flashback of happy childhood memories came back. Guys, there are also cuuuute Hello Kitty-themed products! So to all Hello Kitty fans out there, hurry and get your Hello Kitty collectibles at Daiso Japan! Too bad I don't have any daughter to share this fascination with, but my son Wes appreciated her that day. He's a very appreciative boy and I am happy he came with me. 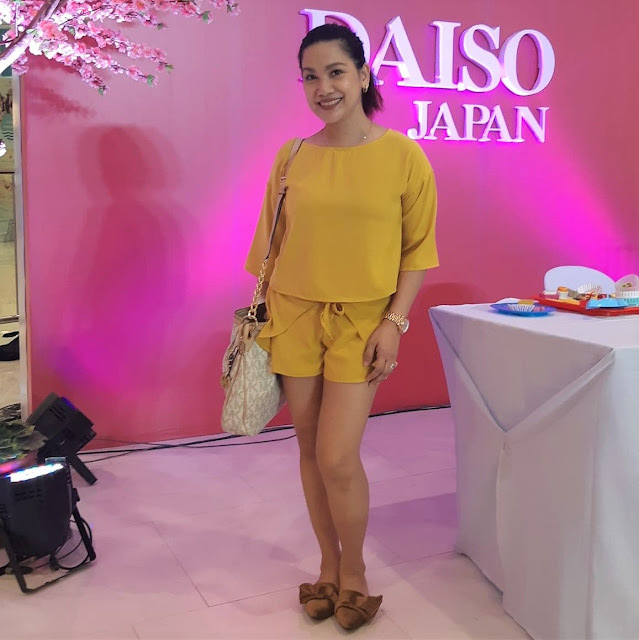 Going back to Daiso Japan's Pink store, if you haven't been there, now's the perfect time because their new polished and bright look will greet you and invite you to shop to your heart's content - just like what it did to me. 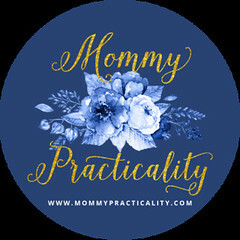 Expect cute and functional items on display which range from home and kitchen essentials to stationery products, all quirky collections that promises quality, variety, uniqueness and let me add - practicality. 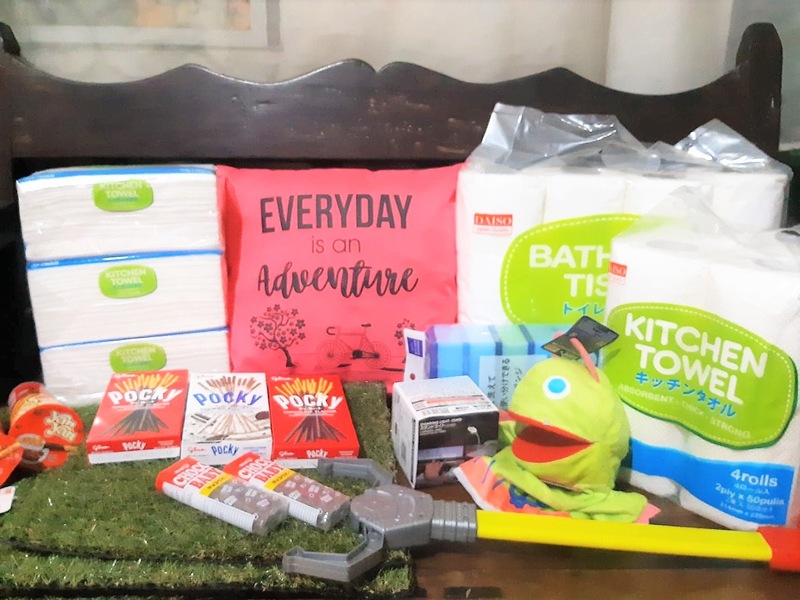 Who doesn't love Daiso? I don't know any for sure. TOTAL: Php1684.00 but that day I got 20% off some items which has pink on it and only paid Php 1,542.00. GREAT deal right? What are you waiting for? 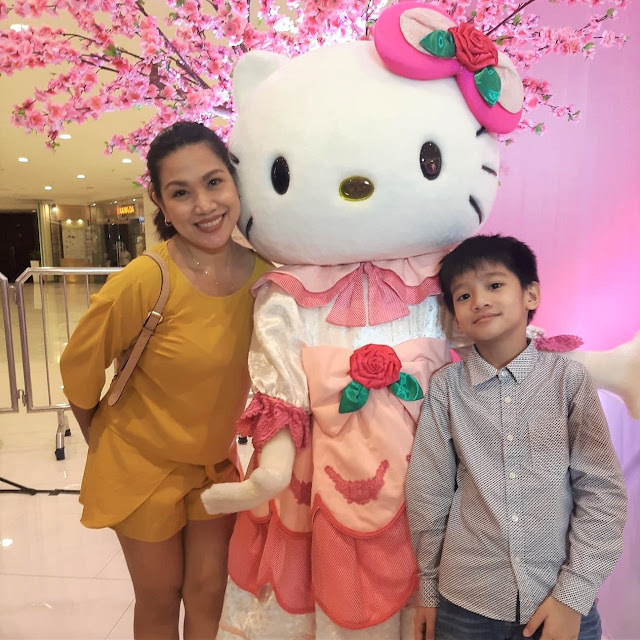 Go and visit Daiso Japan Robinsons Galleria, the Pink Store or Sakura-themed (Cherry Blossom) today. 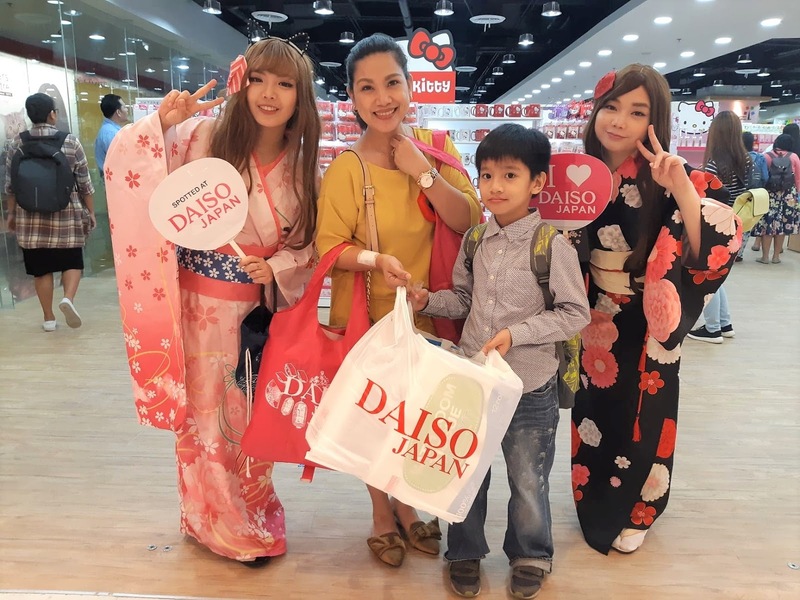 For more updates, follow Daiso Japan PH on Facebook and Instagram.